Dominik Ślęzak received Ph.D. degree in Computer Science in 2002 from University of Warsaw, Poland, and D.Sc. degree in 2011 from Institute of Computer Science of Polish Academy of Sciences. In his early career, he worked as Assistant Professor in Polish-Japanese Academy of Information Technology and at University of Regina in Canada. In 2005, he co-founded Infobright, where he worked as Chief Scientist until 2017. In 2009, he re-joined University of Warsaw, where he currently holds professorship position in Faculty of Mathematics, Informatics and Mechanics. He also cooperated as Adjunct Professor with McMaster and York University. Dominik is continually involved in academic and commercial R&D projects, in the fields of Artificial Intelligence, Machine Learning and Knowledge Discovery. His research has strong background in Rough Set Theory co-developed by his scientific supervisor and mentor, Professor Andrzej Skowron. His interests concentrate on Data Exploration and Decision Support methods that should be easy to interpret by practitioners. In Infobright, he co-designed Analytical Database Engine aimed at fast low-resource processing of massive volumes of machine-generated data, based on the paradigms of Columnar Data Stores and Rough Set Approximations. In 2015, Dominik started co-designing a new highly scalable Approximate Analytics Engine based on Information Granulation and Approximate Computing, which is now deployed by Security On-Demand as a backend for cybersecurity threat detection platform. Since 2012, he has been active as co-organizer of open international data analytics competitions at Knowledge Pit. He also played leading roles in several government-funded projects in the area of Data-Driven Risk Management including ICRA and DISESOR. Currently, he is advisor for two EU-funded projects in the fields of eSports Gaming Analytics and Online Health Support. Dominik co-edited over 30 scientific books and volumes of conference proceedings. He co-authored over 150 papers for books, journals and conferences. He is co-inventor in five US patents describing Infobright’s technology with respect to Adaptive Data Compression, Stream Data Clustering, Alphanumeric Data Types, and Calculations on Data Summaries. He delivered invited plenary talks at over 20 international scientific events including keynote at IEEE/WIC/ACM International Conference on Web Intelligence (Singapore 2015) and, recently, 3rd Conference on Business Analytics in Finance and Industry (Santiago de Chile 2018). 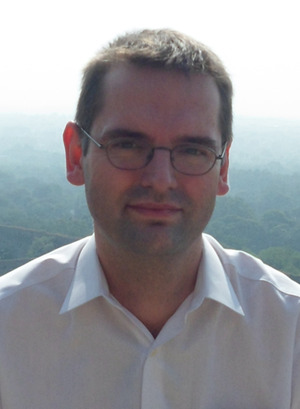 Dominik is Associate Editor for several journals including Brain Informatics and Information Sciences. He was one of Founding Editors of Springer’s CCIS Series. He organized over 20 scientific conferences. In 2012-2014, he served as President of International Rough Set Society (IRSS). In 2014, he received Outstanding Service Award from Web Intelligence Consortium. In 2015, he was appointed as IRSS Fellow. He also serves in IEEE Technical Committee on Intelligent Informatics (since 2014), Scientific Council of EMAG Institute (since 2017), and as Vice-President of Polish Artificial Intelligence Society (since 2018).